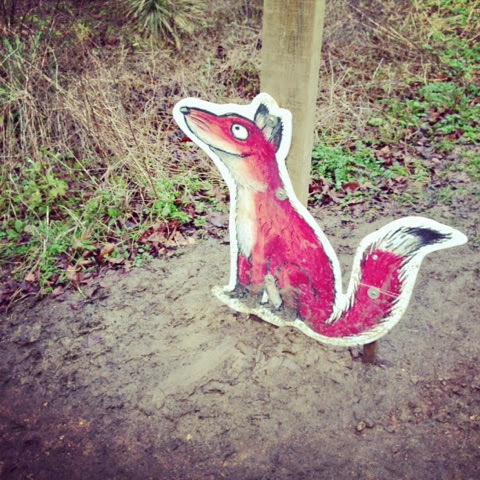 As many children returned to school on Monday but the Mini Mes had a teacher training day, we decided to make the most of the beautiful empty woodland and check out the Gruffalo Trail. 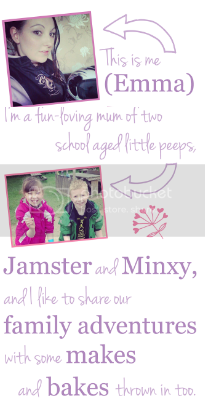 Salcey is our most local forest and it's a lovely one too with a cafe, play area and a treetop walk to enjoy. With our discovery pass providing free car parking we like to call by as often as possible for some outdoor family fun. 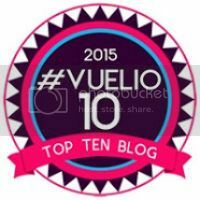 So, we popped the poochie in the car, as dogs are more than welcome, and we set off with our wellies to see what characters we could spot from the well loved story. And then we found the Gruffalo! Actually, he wasn't that scary afterall! The walk was around a mile in length with interactive points to stop by at along the way. Little ones can have fun learning facts about wildlife or even make a meal for the Gruffalo from the sticks and leaves they find while walking. Some forests have large wooden figures, as well as the cutouts we discovered, that look incredible but those are a little further afield from us and we didn't want to travel too far on this occasion - we will definitely head to one before the trails end in February however. 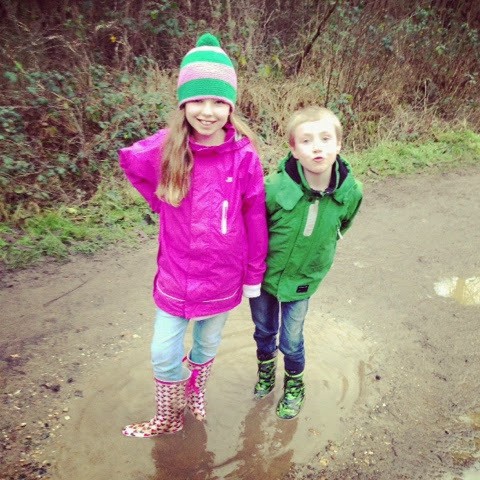 It was great to get outside despite the wet weather to burn off some unwanted Christmas calories and it was lovely to see the Mini Mes getting on so well together even if they ended up rather muddy! 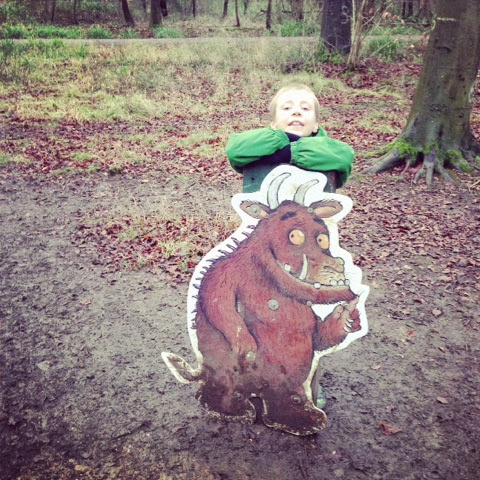 Have you been on a Gruffalo trail yet? 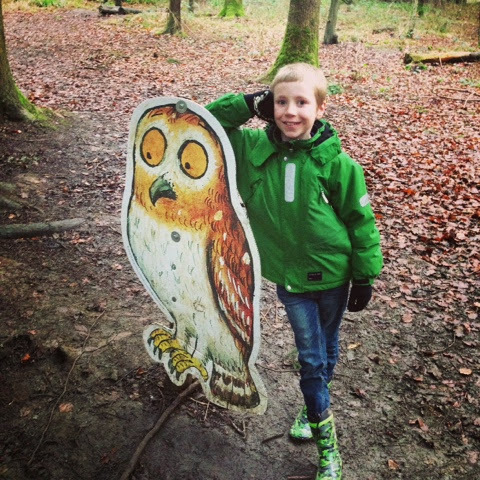 It looks like you had a great day hunting for the gruffalo. 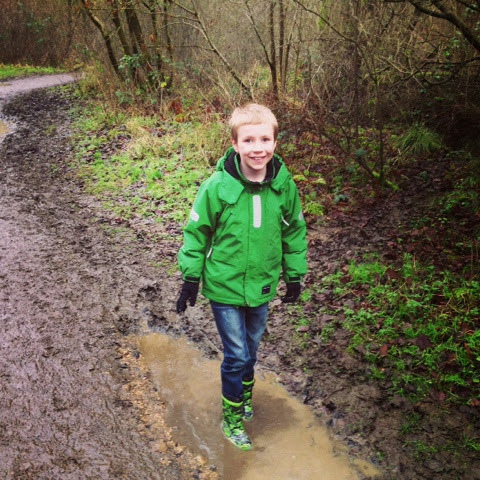 I think that a walk in the woods isn't complete without getting a little muddy. It's great that there's lots of activities throughout the walk, I bet the kids are really keen to have a got at each one as you walk around. It's great to see them having fun running around together. Thanks for linking up with Country Kids. 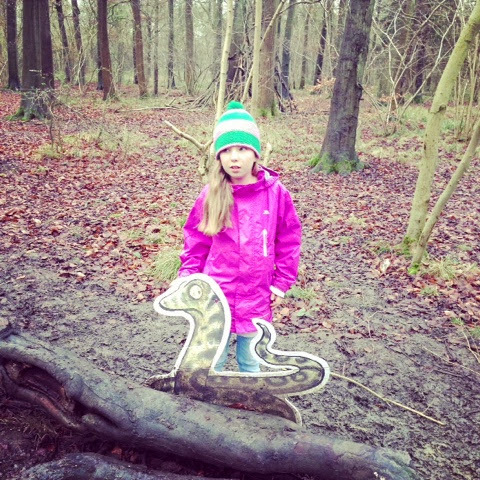 Love doing the gruffalo trails! Makes a walk through the woods a bit different. I've not been to salcey forest in a long time. I hope they still have the gruffolo trial on when Blake is old enough to understand. I can recite the Gruffalo without the book these days, so would LOVE to do a Gruffalo trail with my girls as it looks like a fabulous day out. 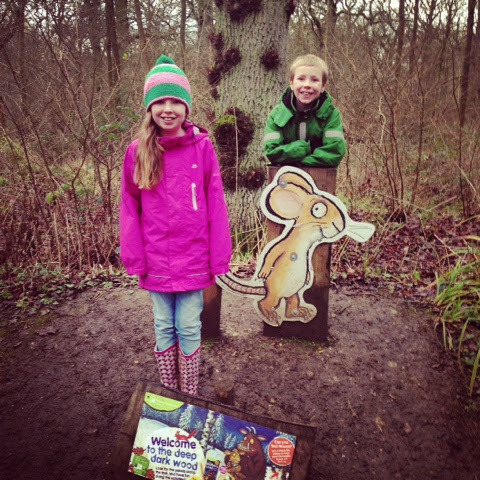 We did the Gruffalo trail at Wendover. It was great fun. I love the Gruffalo stories, and was so pleased to see them on the tv again this Christmas! 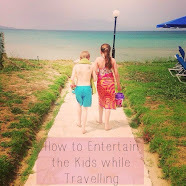 It looks as though they had so much fun together, and you documented it brilliantly! Thank you for sharing. Lovely photos- I bet it was peaceful if everyone else was back to school. It looks like a great day out.